Capcom has decided to offer a very practical pre-order incentive for Resident Evil 6. If you reserve a copy of the game through the Capcom Store, you'll get an Umbrella Corporation-branded umbrella for free. 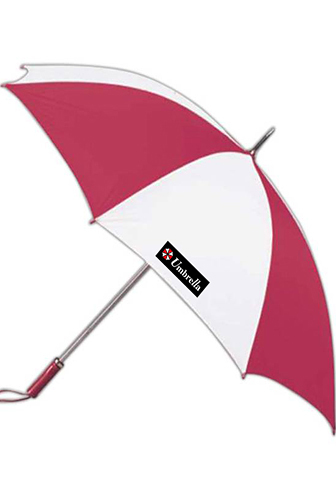 The umbrella is modeled after the fictional company's logo, with an alternating red and white pattern. 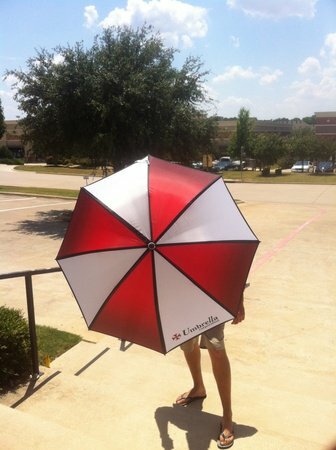 The Umbrella Corporation's name is printed on the top as well, so everyone will know that this is official RE merch. Additionally, you'll get a black sleeve with the company's name and logo to carry the umbrella in. You can pre-order RE6 here. Capcom warns that supplies are limited. They're not made of umbrellas, damn you. The umbrellas can be purchased separately for $16.95 as well. Capcom was actually slow to get in on the "Umbrella umbrella" action. ThinkGeek has been selling a similar product for three years. The big difference is that the ThinkGeek version is just a red and white umbrella with no explicit mention of Umbrella Corporation. You could pass it off as an umbrella that a normal person would use. Where's the fun in that, though?